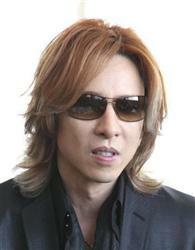 In July, YOSHIKI received surgery for his cervical vertebra and is reported to be healthy. Healthy enough for him to resume activities with the project, VIOLET UK. He’s back in the studio and hopes to returning to the stage are now a reality. When he first came out of the hospital the scar was about 5cm, red and swollen. Now after a month and a half, the scar is red but he feels no pain at all now. Even his doctors are surprised. Well, we’re not surprised, he can go check up on his race team and put out a whole new jewelry line. How can his doctors be surprised at his recovery. This is YOSHIKI we’re talking about. Even though we think YOSHIKI needs to retire in the music business, aka stop making music that sounds like a broken record, it’s great that he’s making a full recovery. He’s had that condition for a long time, it’s about time he got that taken care. Ten years of a bad back can force a person to finally seek medical attention wouldn’t you say? Yesterday at 8AM (PST), YOSHIKI under went cervical surgery at Cedar Sinai Hospital. The surgery was a great success, although it was a success, we’ll see how well the went in his recovery. With great news like this, the L.A. staff members were jumping for joy and a concert in France may just be around the corner. Props to your doctor for helping you out YOSHIKI. Even though I think you’re old and you need to retire and just produce artists (other than your own band), I can not deny the fact that I was a huge X-Japan fan a decade ago. You still have those killer ballads, literally. I hope you make a full recovery so that you do what you’re doing. Cause if you didn’t we wouldn’t be able to write about you or make snarty comments. [UPDATE]YOSHIKI goes under the knife! X-Japan leader, YOSHIKI, returned to L.A. this month to have surgery done. He was diagnosed with having a “hole” in his vertebrae on 7/26. YOSHIKI has been suffering from a chornic disease, in which entails the deterioration of his vervical vertebrae. The cause of this disease started over several years ago due to his ‘violent’ drum playing. 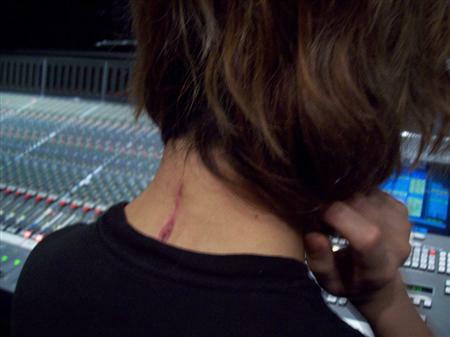 Just last year after the re-formation of X-Japan and a 3-day show at Tokyo Dome, his injury has been getting worse. A family doctor stated that YOSHIKI will need several weeks and at least one month of rehabilitation to recover from the operation. He needs to stay in bed and complete rest to make a full recovery. If after several months there is no improvement, YOSHIKI may need to re-consider having another surgery. “Drummer, pianist and X JAPAN band leader, Yoshiki, will undergo neck surgery on Monday, July 27, 2009 at the Cedars-Sinai Medical Center, Beverly Hills, CA. Dr. Neel Anand, Director of the Cedars-Sinai Spine Center, will perform a cervical foraminotomy. Due to his intense drumming style, Yoshiki developed a worsening of his neck pain and left hand numbness over the past month, affecting his music performance. His condition has been evaluated by doctors in the U.S. and Japan. Yoshiki underwent a spinal x-ray series, an MRI of the spine, and an EMG. After seeking second and third opinions on the diagnosis and treatment, he concluded that the foraminotomy was necessary for the cervical foraminal stenosis. Now I know this is a serious matter, as we all know YOSHIKI is an important player in J-Pop. But seriously YOSHIKI, maybe that ‘hole’ you have is a sign, that you need to stop playing, you’re at an age where you’re body can’t take it anymore. I understand you want to be forever young, and as much botox and plastic you get, you may look like it, but obviously you’re body isn’t. Aside from that, I do hope the surgery is successful and that you make a full recovery. While you’re at it, you might want to ask them to re-do you’re nose. I’m sure MJ’s doctor is still in town.